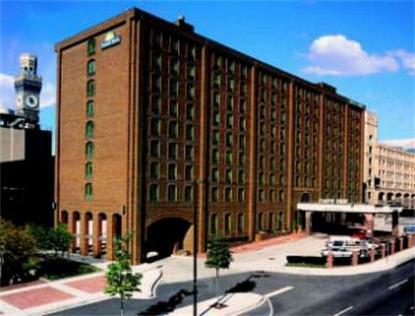 The award winning Days Inn Inner Harbor is located in the heart of downtown Baltimore's exciting Inner Harbor. The Days Inn offers: 5 Sunbursts and Chairman's Award Winner with AAA 2 Diamond Rating We are proud to offer our guests a 100% smoke free experience 250 beautifully newly renovated guestrooms Hopkins Bar and Grill/Room Service Business Center Printer On - Online Guest Printing Service Brand New Fitness Facility Concierge Service Outdoor Pool High Speed Wireless Internet Complimentary The Days Inn is within walking distance to all major attractions including the fabulous Inner Harbor, National Aquarium, Oriole Park at Camden Yards, Ravens Stadium, Baltimore Convention Center and the 1st Mariner Arena. The Days Inn has been awarded the Worldwide Hotel of the Year for the Days Inn Franchise. On your next visit to the Baltimore area come see why we will Exceed your Expectations, not your Budget.